ALOHA! 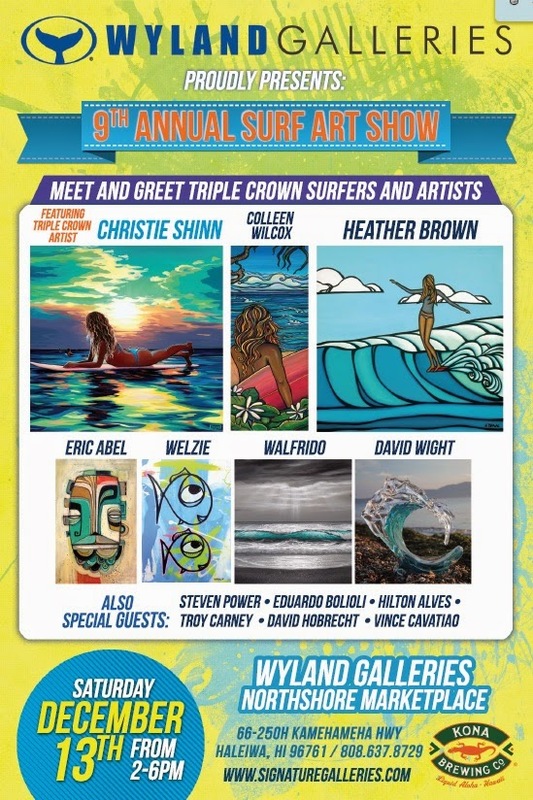 Hope to see you today at The Wyland Gallery in Haleiwa for the Annual Surf Art Show featuring a great crew of surf artists from around Hawaii and around the world! I will be there from 4-7 PM today with lots of new originals, silkscreens, skateboards, wood prints and more! This is one of the originals for the show! 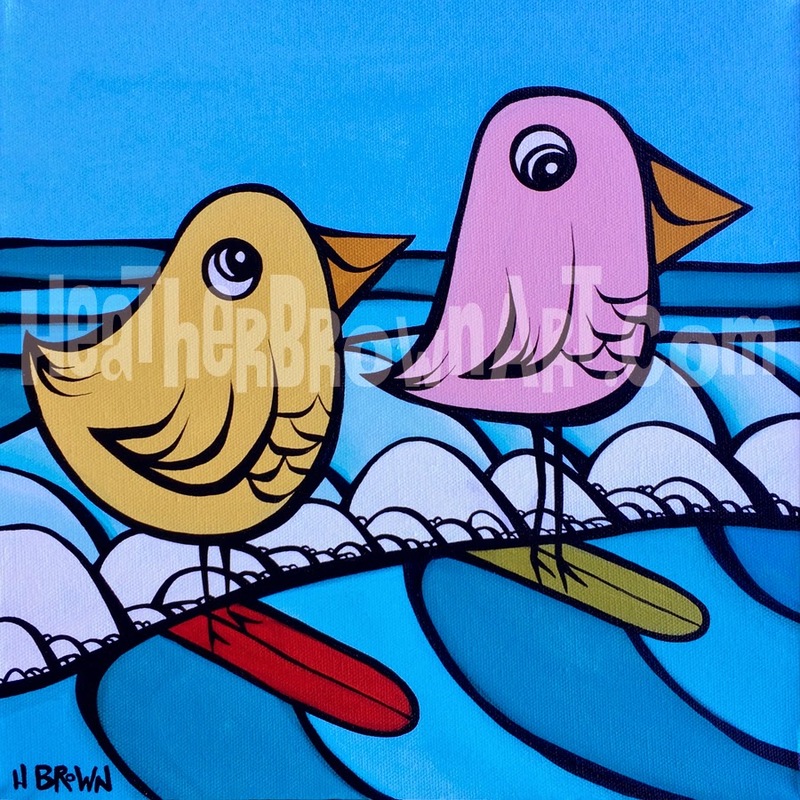 I will be taking part in the Annual Surf Art Show hosted by The Wyland Gallery in Haleiwa on the north shore of Oahu, Hawai'i on Saturday December 13, 2014! This is a great show with a load of great artists from Hawaii and around the world. I will be at the show from 4-7 pm! Hope to see you there! I hope that everyone had a nice weekend! Mahalo to everyone who came out for my show at The Wyland Gallery in Haleiwa this past Saturday! It was so much fun and so nice to see my new releases going to new homes to spread the aloha! 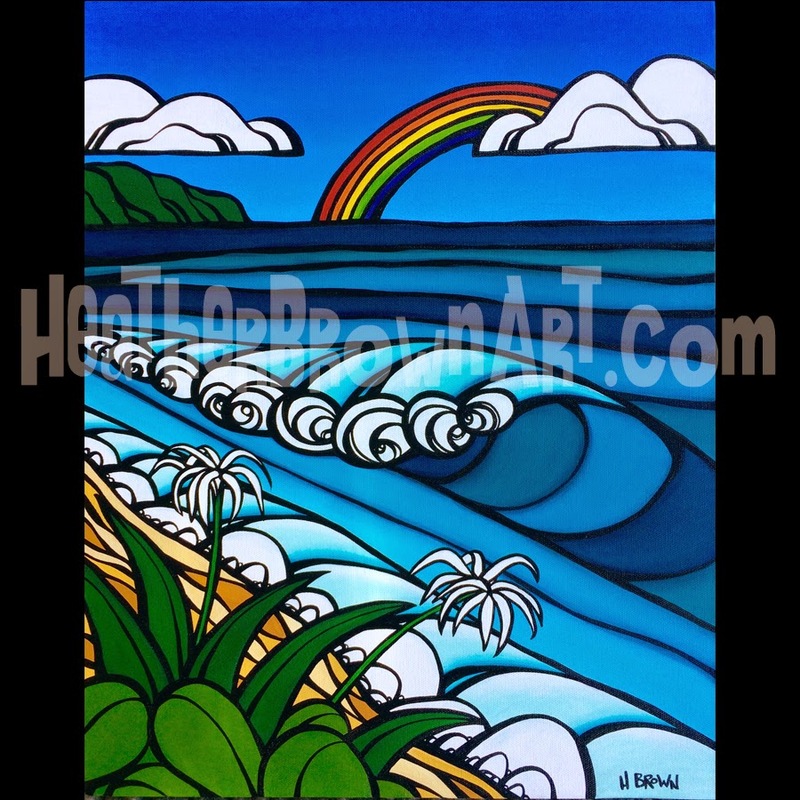 I will be having an Art show of new works as well as limited edition canvases and book signing of my new book "The Art of Heather Brown" tomorrow, July 12, 2014 at The Wyland Gallery in Haleiwa at The North Shore Marketplace from 2-6 pm! Hope to see you there!